GitHub - garethcull/ml-camera: A demo flask app where you can take a picture in a mobile browser and send the pic to Google's ML Vision API for label and text dectection. 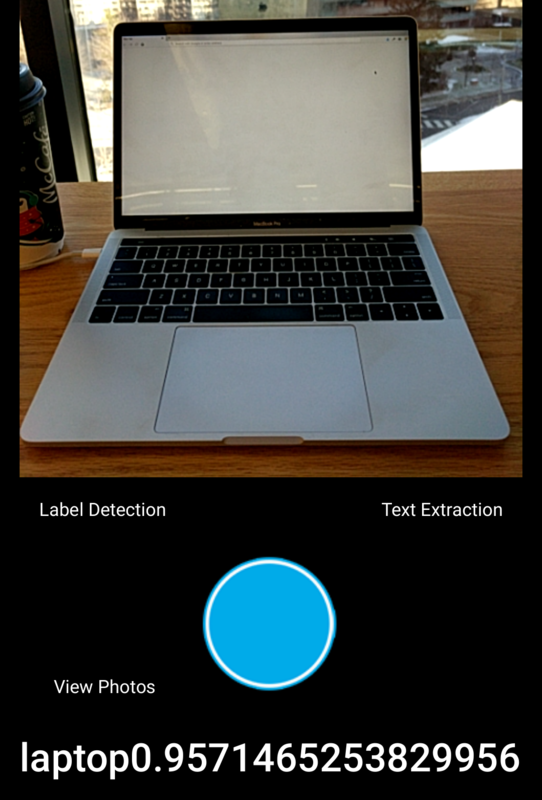 A demo flask app where you can take a picture in a mobile browser and send the pic to Google's ML Vision API for label and text dectection. Want to be notified of new releases in garethcull/ml-camera? 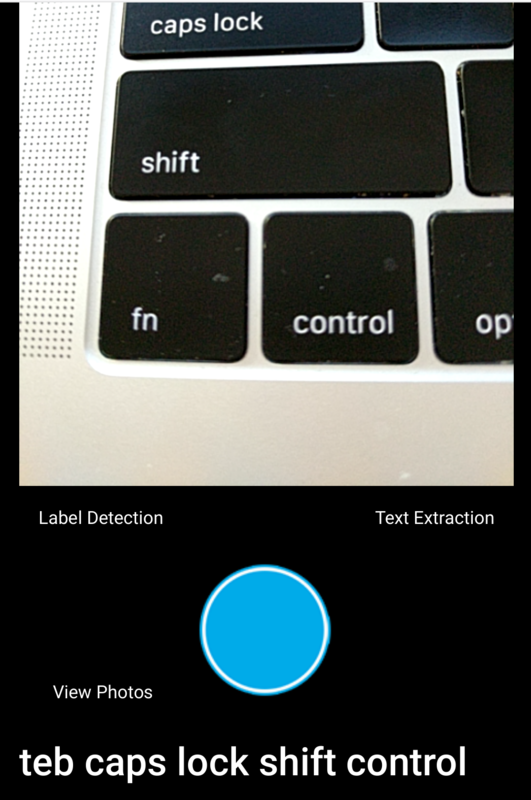 This is a demo flask app where you can take a picture in a mobile browser and send the pic to Google's ML Vision API for label and text extraction. Once the user grants access, video starts streaming. The user can choose whether they want to detect what an image is or extract text from an image by clicking on the appropriate link. The image is then sent server side along with the image service to be used (text extraction or label). After sending the image to the Vision API, it returns either a label or text that was extracted from the image and then sends this information back to the client. What does this app look like? Example of the Google ML Vision API successfully labeling a laptop. In addition to the label, a confidence score is also returned. In the case below, Google is 95% confident that the image is a laptop. Example of the Google ML Vision API extracting text off of a keyboard. vision.py - this is a helper script which sends the image to either the label detection or text extraction service. Here are some links that I found very useful with code examples.